"Too young to drink beer, but old enough to brew!" Yeahhhh ! I am almost there. My crowdfundingproject reached already 195%!! This means that I am able to brew and bottle 1600 liters of my first beer, and... I am also able to buy the wheels, brakes, gear, and the frame of my electric cargotrike. With this transport vehicle I would like to deliver beers to customers and pubs in our neighbourhood. But... what's an electric cargotrike without cargospace or electric engine ? Nothing ofcourse! So please help me to make my dream come true. As a reward for your financial support, I have forseen some fun and useful crowdfunding gifts (see right column on this page). I would like to thank very sincerely everyone who will support my project. With your help I still might be able to buy that electric cargotrike. EACH GESTURE, BIG OR SMALL, IS MUCH APPRECIATED. BECAUSE I HAVE ALMOST REACHED MY GOAL !!! P.S. U can support my crowdfunding project by clicking on one of the rewards in the right column. If that would not work for any reason, you can also trans fer the money to my savings account (IBAN: BE88 1043 3085 6741 - BIC: NICABEBB). After my exams I will make sure that your rewards will be sent to your home address. 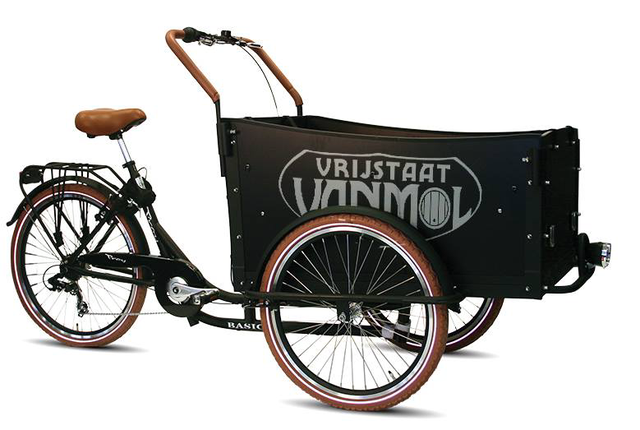 In early 2016, Vrijstaat Vanmol was founded by the famous cartoonist and home brewer Erwin Vanmol. When Erwin was creating new recipes in his microbrewery, I started to lend him a helping hand. Being his brewing assistant, I do not only help him clean the brewing equipment, wash the dishes, fill and label the bottles, pack boxes with the bottles, etc. … but I also like to discover new aromas and flavors! Recently I developed my first beer recipe with the help of master brewer Erwin Vanmol. The target was to create a beautiful, well-balanced beer that had less alcohol than a normal pilsener, but rich in flavor. I hope to brew 16 hectoliters (1600 liters) of this beer, because 16 is an important number to me. "Jan will turn 16 on February 26 of next year. Jokingly, I call him the ‘Max Verstappen of the beer world,’ because this F1-pilot participated at Grand Prix races well before he was 18, and thus long before he was allowed to drive in a normal car on public roads. 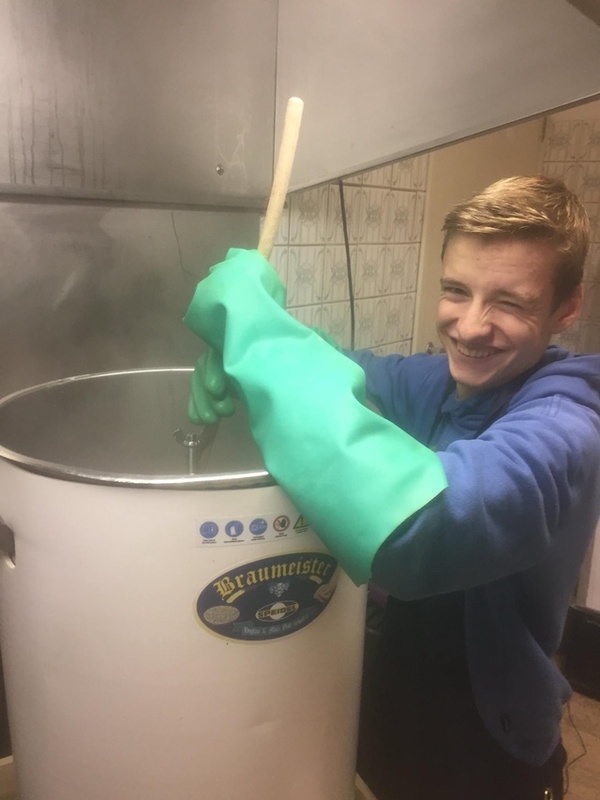 Because of his youthful age Jan isn’t allowed to drink beer, but he can smell the ingredients and taste the wort!,” stated Erwin Vanmol with a big smile. News Report on VTM (national TV) - 4th December, 2016 - 7 P.M.
What will I do with the raised money? I want to finance the production of my very first beer with the crowdfunding money. 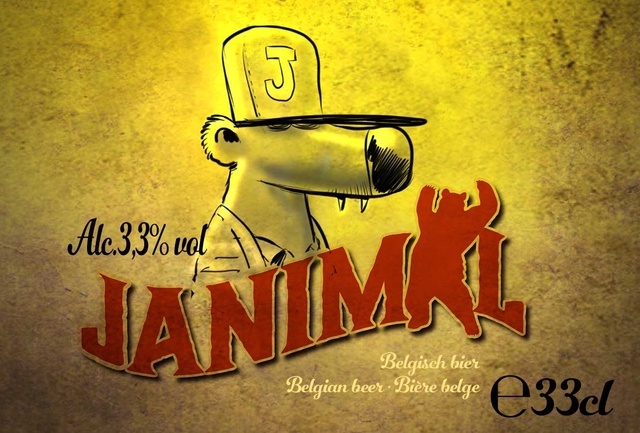 Janimal is a tasty, blond artisanal Belgian beer with a surprising low alcohol percentage (3,3 % vol.). 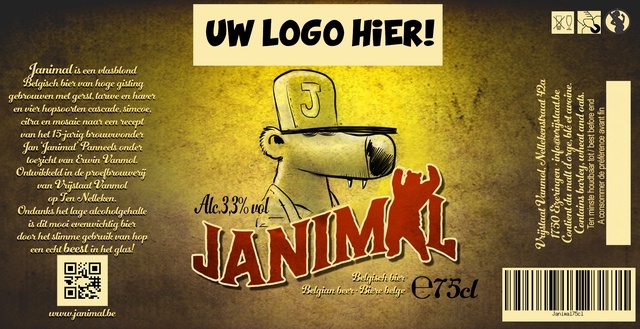 Janimal will be will be available in 33 and 75 cl bottles. Currently, I always travel by foot, with my bike or with the public transport, to Erwin’s microbrewery at the medieval borough of ‘ten Nelleken’. If I surpass the initial crowdfunding target, I would like to acquire with the extra money my own company car(! ), i.e., an electric cargo tricycle. With this vehicle I will be able to deliver beer in the neighborhood. At the same time it will be a nice promotion tool for our small brewery. So…what’s in it for you!? 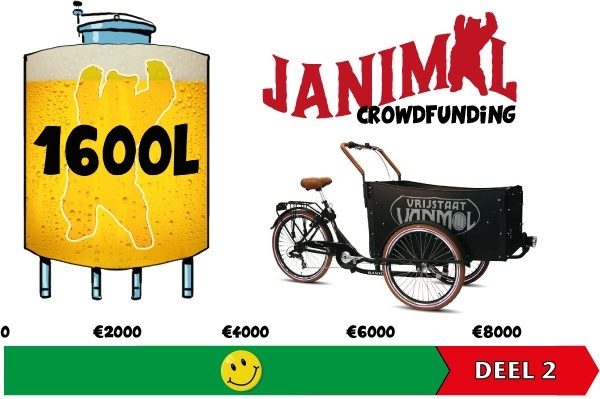 I have selected some interesting rewards for the people that want to support my project: Janimal-cartoon books, bottle openers with a built-in LED, bottles of Janimal beer (of course! ), unique Janimal T-shirts, delicious gueuze paté, tasting sessions with the one and only Erwin Vanmol, overnight stays in a luxury B&B with sauna in the Payottenland… and last but not least my eternal gratitude! Erwin also promised me that all the names of the funders will be put on the wall of fame of the Vrijstaat Vanmol! All rewards can be delivered for free in Belgium. International shipping will be charged separately. Companies and organizations who would like to give a special present to there contributors, clients and business relations, can buy bottles with there own logo or name on the label. Have a look at the CF Award of EUR 500. Being one of Belgium’s most renowned cartoonists, Erwin will provide the artwork for the label design! :-) Thank you, Erwin! If you would like an invoice, just give me a shout and we will take care of it. Jan and his twin sister Ina were born in 2001 in the city of Leuven. Jan studies Mathematics-Science at Regina Caelilyceum in Dilbeek, near Brussels. Until recently he was a fervent judoka. He even earned the blue belt (2nd kyu) and managed to be selected for the Flemish Judo Youth Championships. However, two years ago he broke his knee while jumping on a trampoline. As a result he was no longer able to practice judo for a long time. Because of this accident, he had to put away his competition ambitions indefinitely. 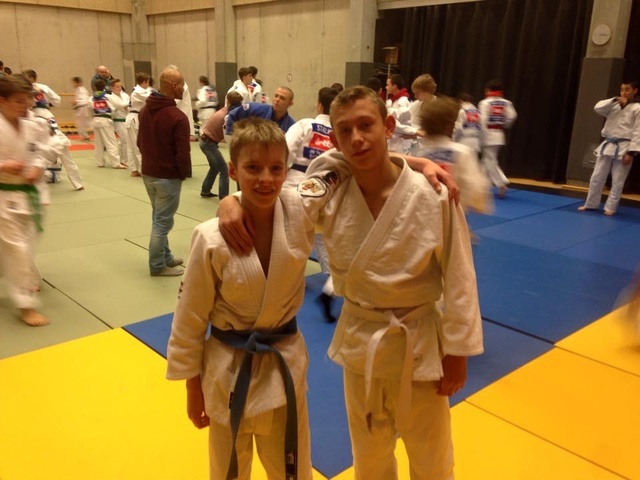 Jan with another team member of Judo Club Lennik at the Flemish Championship 2015. In Jan’s family are no brewers. However, some of his family members have close links with the beer world. His uncle Kurt owns the world famous beer pub “In de Verzekering tegen de Grote Dorst,” which is only open at Sundays. Jan’s father is a big promoter of the lambic culture in the Payottenland and the Senne Valley and for more than ten years, gueuze and kriek festivals in Belgium and abroad. Along his grandmother Lydia’s side there are more than three centuries of innkeepers in the family! Jan is became a brewing assistant guest at Vrijstaat Vanmol because he likes to discover new flavors and aromas. At an early age (only one and a half years old!) he sipped a glass of oude gueuze behind the backs of his parents at brewery 3 Fonteinen. Just like his twin sister Ina, he likes to eat olives, but he also savors exotic edibles, such as roasted grasshoppers and mealworms, fried corn, bull balls marinated in bloody mary sauce and dried beef heart. Jan does not understand why some young people cannot have fun without drinking large amounts of alcohol. In his opinion, youngsters and adults should choose quality instead of quantity. With the release of his Janimal beer he wants to demonstrate that a tasteful beer doesn’t have to contain a lot of alcohol. Beer brewed with passion must always be drunk with common sense. Whenever Jan is helping master brewer Erwin Vanmol with the development of new recipes, they like to listen to deafening speedmetal music. 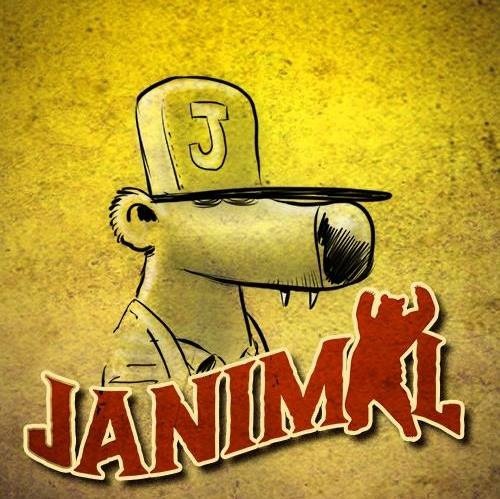 Where does the name ‘Janimal’ orginiate from? Two years ago Jan visited for the first time the west-coast of America. After having tried all kinds of tacos, fajitas, enchiladas and tortillas, he ordered in a fast food restaurant a hamburger called ‘animal-style’. Since then he was nicknamed ‘Janimal’ by some American beer lovers. 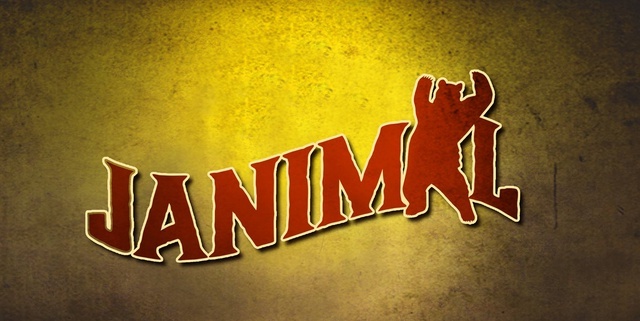 That’s also why there is a Californian bear in the Janimal logo. 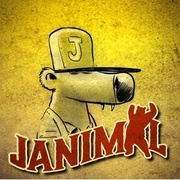 Meanwhile, Janimal also became a cartoon character in the Vanmol beer comic strip. Because I am still a minor, I have asked and obtained my parents permission to launch this Ulule crowdfunding project. The funds will be put on a bank account that will be supervised by my father Yves. He will make sure that all invoices are paid and that the rewards will be properly delivered. Thank you in advance for your kind support! The Janimal bottles and the gueuze paté will be delivered FREE OF CHARGE during your stay at the B&B. The cartoon book and the T-shirts will be shipped for free. Please send your VAT details to [email protected] in case you need an invoice (EUR 413.22 EUR, VAT excl. ).